403 p., 17,8 x 24,5 cm. Since Feyerabend initiated an all-out attack, based on the incommensurability thesis, against claims to rationality in general, this can be seen as the systematic core of relativistic and irrationalistic tendencies in current philosophy. 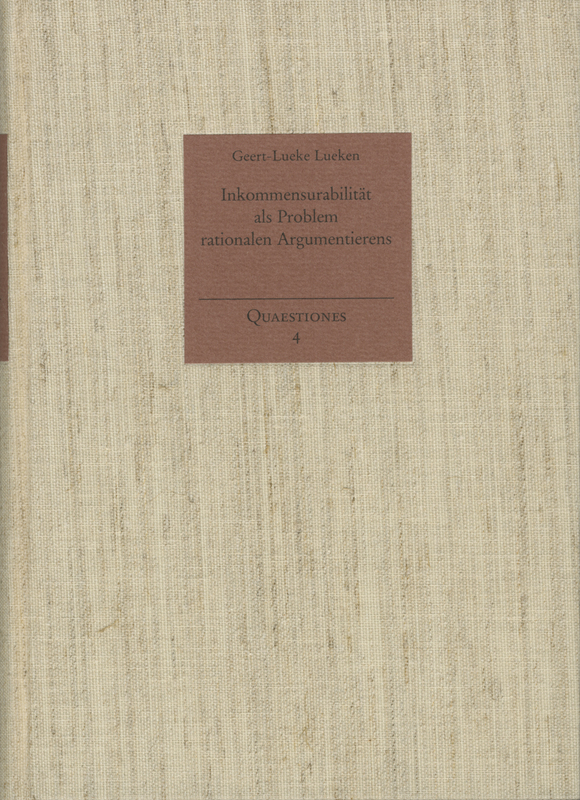 Lueken presents the strengths of the incommensurability thesis and develops an understanding of the issue based on practical question from participants. He shows how it is possible to present reasonable arguments between incommensurable positions as well.